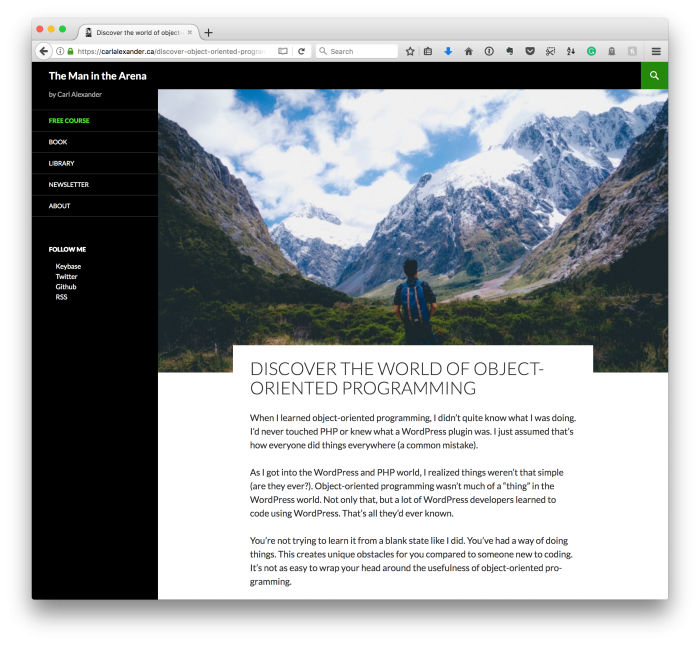 Object-Oriented Programming in WordPress: Analysis, Part 1 Starting at ground-zero, we're going to look at object-oriented WordPress analysis. When I first set out to offer memberships on this site, I knew the first thing I wanted to tackle was an introduction to object-oriented programming. Object-oriented programming can get complicated fast. And this gets demotivating. Here’s what I mean: Say you’re a WordPress developer who starts to research object-oriented programming. It starts off talking about classes and constructors and functions, and all seems well. It snowballs, doesn’t it? And that’s not at all how it has to be, but it’s hard to find a proper introduction save for a few resources that are out there. want to start from ground-zero without escalating into more complicated material too quickly. And that’s what I’m starting today and in the first major serious planned for members. With all of that said, let’s get started. Specifically, let’st started talking about object-oriented programming, analysis, design, and why she should start there.